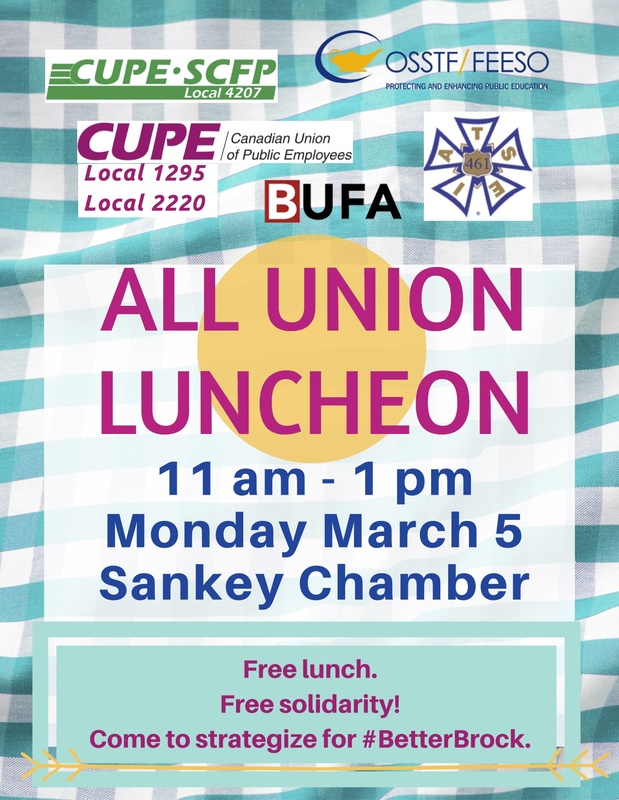 Union members and workers who are not unionized are invited to a luncheon to share experiences and hear from union reps about the ongoing changes to our working conditions and how it affects us and students. The lunch starts at 11 am and lasts until 1 pm. This is to accommodate workers who have varied times for lunch break. Building solidarity makes our workplace stronger!